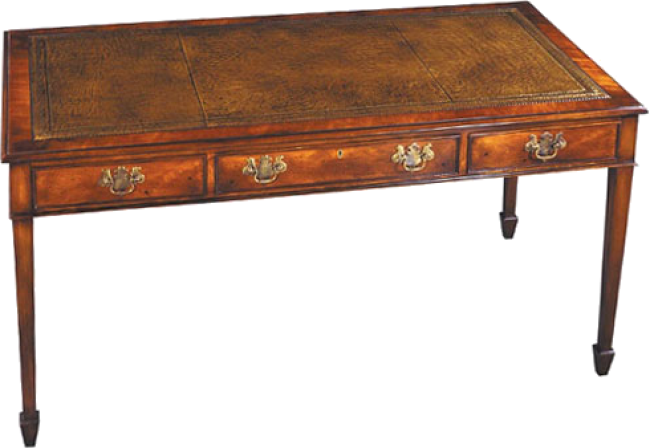 Writing table with square tapered legs terminating in spade feet. Three drawers with solid brass hardware. The center drawer locks. Also available with wood top. Pictured in Yewwood. Available at 60"W x 30"D x 30"H.